Kim Readlinger, career counselor for the Office of Career Services, talks to students about the importance of being prepared for post-graduation opportunities. Students, alumni and professors may find that getting into the job market takes hard work. Finding a job after earning a college degree can require patience and preparation. Victor Betancourt, a senior art major, found it is necessary for graduates to weigh all their options before choosing the job that is the best fit for them. Dr. Marc Settembrino, an assistant professor of sociology, experienced trouble while applying for jobs as he finished his doctorate at the University of Central Florida. In his search, Settembrino applied to 70 out-of-state jobs. Jennifer Whisenhunt, an alumna and an academic advisor for the Center of Student Excellence, shared how the Office of Career Services helped pave the way for her first full-time position with a master’s degree in communication. Whisenhunt went back to school in order to receive a second master’s degree in counseling and made interpersonal connections that helped her earn her dream job. One option after the undergraduate years is to obtain a graduate assistant’s position in order to further their education. 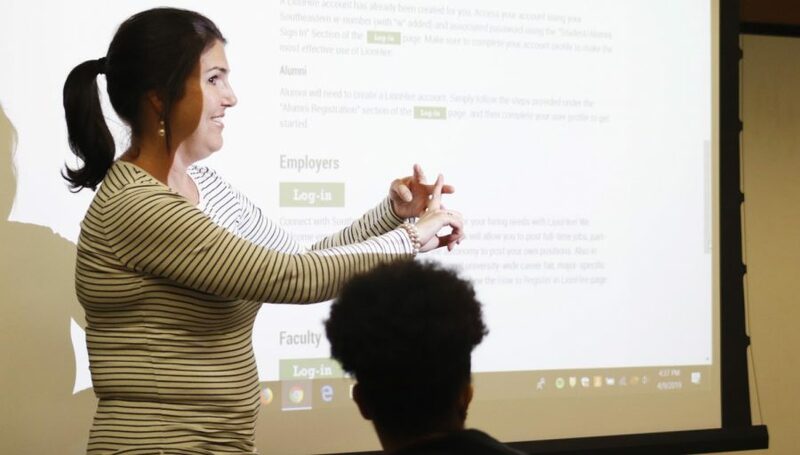 Kenneth Ridgedell, director for the Office of Career Services, expressed that students should aim to appeal to their future employer by being well-rounded and ready for options that may open up after graduation.